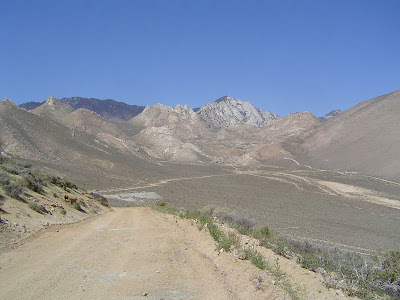 I recently took some time to explore some of the roads west of Inyokern, where the 395 and 14 highways split. On previous trips this direction I've stopped at the Indian Wells microbrewery to get some Lobotomy Bock and I always see the dirt trails up in the hills to the west. They seem to beckon me. So I drove up into Short Canyon to find a nice parking area and a hiking trail. I was surprised to see many cars parked there. I'd read online that there's a waterfall somewhere off along that trail, but I have no details. Since I wasn't in a mood to hike, I just took some photos. 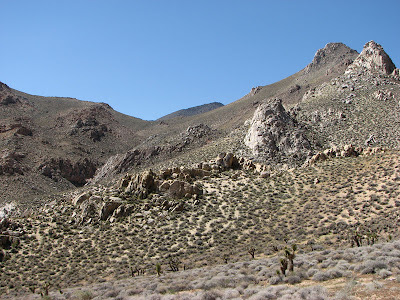 The granite outcroppings are visually captivating. 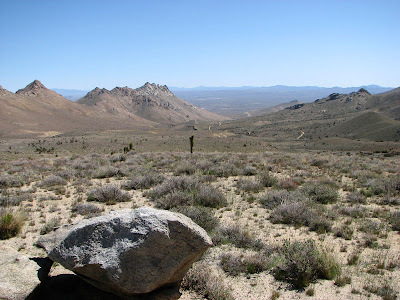 I drove south along a curious shelf road halfway up the hillside that is roughly level. The road was sometimes adjacent to, and sometimes atop, a large flat concrete structure. I'm guessing that it's a conduit for the second aqueduct. 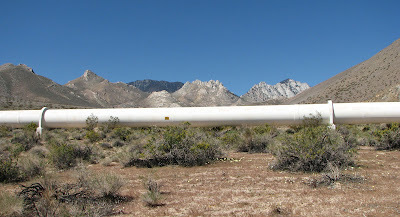 The pipeline for the other aqueduct is visible at a lower elevation. Many flowers were in bloom. I'd see a hillside covered in yellow, and after walking there discover that it's from tiny yellow flowers that are about 0.25 inches across and not even very dense. The next canyon south is Indian Wells Canyon. Between the two canyons is a large rock formation called the Five Fingers. 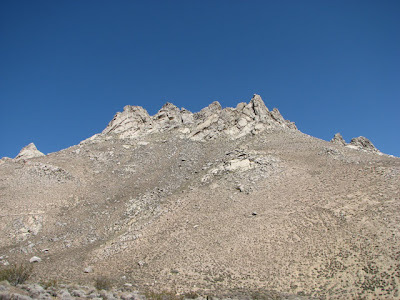 Very large granite formations that draw hikers and climbers. 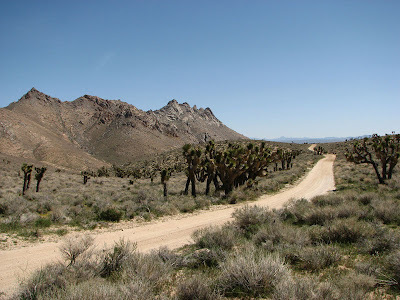 I drove the jeep trails up into Indian Wells Canyon. I came across recreation areas up there (at least road signs directing the way to them). These roads are used by hikers that are aiming to climb Owens Peak, Mt. Jenkins, and Morris Peak. Eventually, I got bored. It was getting colder as I drove higher. I turned around at just over 5000 ft. I was looking down on the Five Fingers from that location.